Arbor Day in Iowa - news and resources to get involved this arbor day. 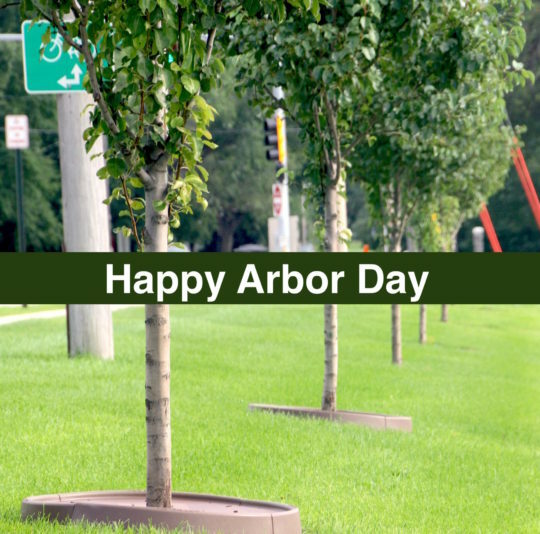 This year marks the 147th annual Arbor Day, which was first observed in Nebraska City on April 10th, 1872! First proposed and led by J. Sterling Morton the first arbor day was celebrated with a grand parade and tree planting by students in Nebraska City. The United States is not the only country who celebrates trees. Throughout the world, people from all corners of the earth celebrate tree planting, below are some of the holidays. India – National Festival of Tree Planting … and more! Some states have already begun to celebrate Arbor Day here is the US. In our home state of Iowa, we celebrate on the last Friday in April (4/27/18). There is no requirement and no contribution is too big, or too small. In Iowa, seventh grader Gavin Hildebrand from Pella, IA wrote a grant to the Iowa DNR for trees to plant around his community and school. Several states have competitions with schools to submit artwork for Arbor Day. Organizations and businesses join forces with cities to give out free trees for communities to plant and expand their urban forests. Des Moines, Iowa celebrates by planting trees and giving away free trees to the community through their Tiny Trees event– last year surpassing 3,000 trees! We were lucky to participate in the Arbor Day celebration in Tyler Texas this past January. Over 1000 volunteers gathered to dig holes, plant trees, and assemble TreePans at UT Tyler campus! We were able to help plant trees across the campus and engage in a community full of tree conscious individuals! We are currently busy shipping out TreePans all over the US, Canada, and now UK. Many cities will be using our product to better protect the many trees going in the ground over the following months. Like J. Sterling Morton, we want to ensure that the trees we plant and the benefits they provide are around for many generations to come. Our partner, Russell, is currently fulfilling his childhood dream, planting thousands of trees on his property in Wales! Follow his journey here on Twitter and see how he is getting his community, schools, and students to pitch in and plant some trees! Be sure to congratulate Russell on a job well done! This month our team will be at several events across the state including Des Moines Tiny Trees packing & distribution and County Landscapes tree day! Can’t plant? Here’s what to do! If you are looking for a way to celebrate Arbor Day but don’t have the means to plant a tree, don’t fret. People often think that tree planting is the only way to recognize the holiday, but there are many other ways you can be a part of the celebration. Talk with your teachers, chamber, and elected officials about becoming a Tree City or Tree Campus USA! 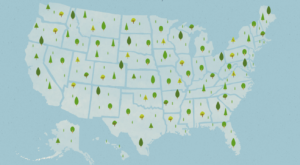 Visit the Arbor Day Foundation’s website to check out many activities and events, for each state!